Support and conversation for people with memory loss and their care partners. What is Arthur's Memory Café? 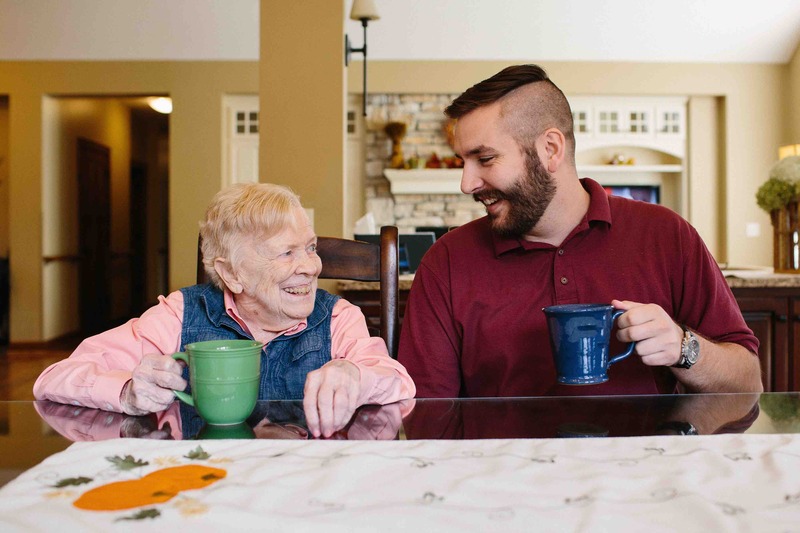 Arthur’s Memory Café is a place where individuals with memory loss and their caregivers can get together in a safe, supportive, and engaging environment. It’s a time and place where people can connect and interact with peers without feeling like misfits. There is no embarrassment, and no explanations are needed. Memory Café encourages acceptance, support and friendship for people struggling with memory. Many times when Alzheimer’s is diagnosed there are significant changes that affect not only the person with the disease, but everyone they interact with. Relationships change. Even close friendships can disintegrate due to a lack of education and guidance on how to interact with a person who is experiencing memory loss. In some ways, Alzheimer’s disease is similar to AIDS. With AIDS, when it was first recognized people did not understand the disease and so they ran from it. Memory loss is no different. People are uncomfortable and not sure what to say or how to interact, and so they pull away and many times disappear from the person’s life for good. In the US there are an estimated 5.4 million people diagnosed with Alzheimer’s disease and every 69 seconds someone develops the disease. By 2050 those numbers are expected to jump to 16 million people, meaning every 33 seconds someone will develop Alzheimer’s. In 2010, 14.9 million family members and friends provided 17 billion hours of unpaid care which is valued at 202.6 billion dollars. We need to create community through unity to care for those dealing with Alzheimer’s, and we need to do it now. As a society, we desperately need education on how to live gracefully with Alzheimer’s disease. The Memory Café is taking one step forward to do just that. It is designed not only to meet the needs of those dealing with the disease by providing support and understanding, but to bring a sense of “normal” back into their lives and the lives of those around them. The Memory Café will be a place to have fun and laugh once again. We invite you to drop in and join us! We meet regularly on the 2nd and 4th Wednesdays of each month from 1 to 3 PM at J. Arthur’s Coffee in Roseville, Minnesota. Or if you think your audience would be interested in hearing about the Memory Café please contact us. We would be honored to talk with you.